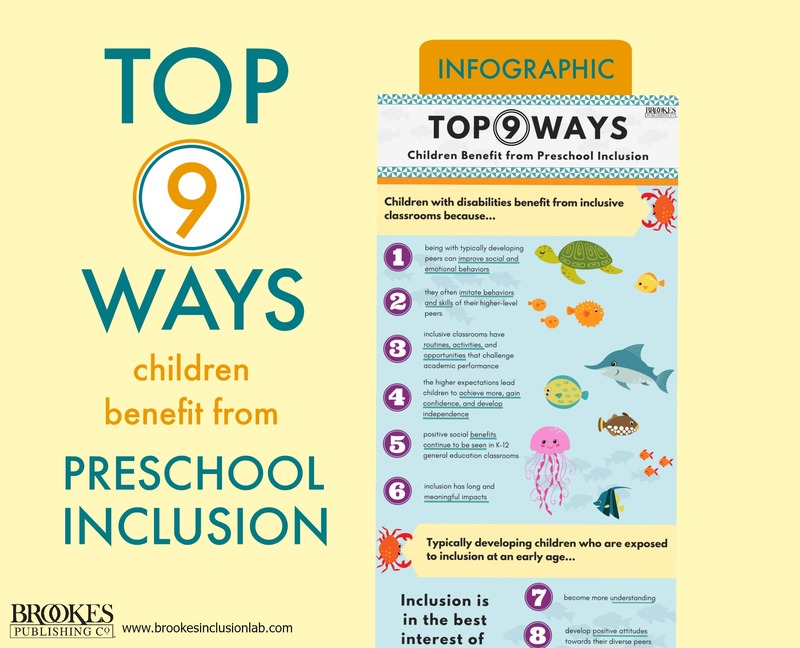 How do young children in early childhood classrooms benefit from inclusive classrooms where all kids with and without disabilities are welcomed and fully participate? Today’s post is an infographic that sums it up in nine key points. 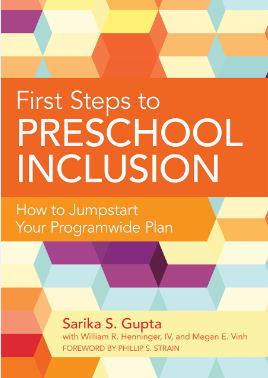 These are adapted from the excellent guidebook First Steps to Preschool Inclusion: How to Jumpstart Your Programwide Plan, by Sarika S. Gupta, Ph.D. (which you can sample right here). Like this infographic? Please share it around on social media and help spread the good word on inclusion.